How do we increase the success rate of entrepreneurs? There are as many answers to this question as there are people asking the question. One way is start with young entrepreneurs and teach them the essentials of entrepreneurship before the world convinces them they cannot fly. This is part of the mission behind the Lemonhead movement, which I am proud to be associated with. The pics in this post are examples of how Lemonhead is having a real impact on the world of entrepreneurship one student at at time. So here I am trying to figure out how to get the message of entrepreneurship out to high school and college students as an alternative to working for someone else. Not that there is anything wrong with having a job. Any form of earning money is commendable so long as it is honest and does not harm others. However, many feel that a job is the only option because, though a dream for most, running a business is just too risky and nearly impossible. Risky? Yes. Impossible? Not by a long shot. Even the risky part can be greatly reduced with proper mentorship and training. Then "Along Came Polly." Ok in this case Amy, but I just wanted to say that movie title because I think it sounds cool and Ben Stiller puts me in stitches. I had a lengthy conversation with Amy Kelly about her passion for teaching the essentials of entrepreneurship to youth. After about 20 minutes into the conversation, it became apparent to me that Amy and the team at Lemonhead were miles down the road I was trying to figure out. I was hooked. They have developed a curriculum which local entrepreneurs teach purely on a volunteer basis at local schools. Real life lessons by entrepreneurs for entrepreneurs. My goal is to bring this "movement" to my own area here in upstate New York and spread this message of entrepreneurship to the masses, especially the youth. Check out some pics from their recent classes. "Teach them and they will come"
Hop on over to the Lemonhead website to learn more about this incredible movement and how you can get involved. Also, buy their book to help support the program. 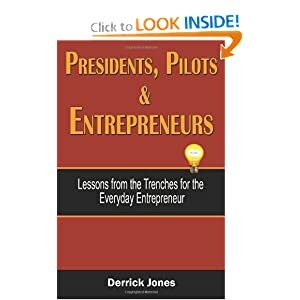 Check back here often as I will provide regular progress updates and information on how entrepreneurs can get involved in this noble effort.